Washer and dryer repair in Honolulu! Customer satisfaction guaranteed! Washer and dryer are an essential part of any modern home. But what if your washer or dryer brakes. You need a professional washer and dryer repair help. Our company Honolulu Appliance Repair Pro provides such help to all residents of Honolulu. Our technical team is well versed in all brands and models of washers and dryers. There is not a model or a brand that we can’t fix. For example, we often work on Samsung, Kenmore, Whirlpool, Maytag, HE, GE, LG, Speed Queen, Roper, Amana, Frigidaire, Hotpoint and many more. Our technicians are experts in all those brands. In fact, they are factory trained and certified. That means they know exactly what could be going on with your washer or dryer and will be able to fix it in no time. Many things can go wrong with the washing machine. For example, it can start making grinding noise or have draining problems or fill up too slow. Our team can find the right solution. Sometimes it is as fast as removing some taking it apart and removing some jewelry or clothing stuck in your pump. But sometimes parts such as motor, coupler or hoses will need to be replaced. We will order you those parts from the manufacturer and will install them correctly. Professional installation and repair are always guaranteed of high quality and longevity for your appliance. The same thing can happen to a dryer. For example, a dryer can start making strange noises, not heating up or the dryer drum won’t rotate while the motor is running. Those are just some of the problems you can encounter with your dryer. This is where a professional washer and dryer repair company can come in handy. We will take your dryer apart and fix it right away. Often parts such as a thermal fuse or radiant sensor need to be replaced. Those sensors go bad quite often. Another problem could be a broken belt. Whatever it is we will order the part for you and install it the right way. We are the most trusted washer and dryer repair experts in Honolulu. Our company Honolulu Appliance Repair Pro has been serving Honolulu Iceland for more than 30 years. We are a family run and family managed a company. Our company consists of several seasoned professionals who are ready to serve you with all of your kitchen appliance repair needs. Our service area includes Āina Haina, Ala Moana, Aliamanu, Camp HM Smith, Capitol District, Downtown Honolulu, Fort Shafter, Hawaiʻi Kai, Honolulu, Kahala, Kaimuki, Kakaʻako, Kalihi – Palama, Kalihi, Kuliouou – Kalani Iki, Leahi Park and the rest. Just give us a call, and one of our technicians will be on his way to help you in no time. We are all factory trained and certified therefor we know precisely what to do, what part to get and how to install it correctly. We will be gentle with your appliances and your surrounding. Our team always bring furniture cover and floor covers to protect your house. Besides doing excellent appliance repair Honolulu work for our consumers, we also do commercial appliance repair. We work with local Honolulu restaurants, resorts, hotels, and catering repairing their commercial appliances. No project is too big or complicated for us. We will take on any job that involves major appliances. And we make sure that after one appointment with us your appliance is working as good as new. If you need washer or dryer repair in Honolulu, just give us a call at 808-518-2966. We will set you up for a convenient appointment. Our skilled technician will get ready to go to your residents very soon. He will make sure to have all the tools and equipment necessary for your particular project. He will also take some of the washer and dryer parts that might be required. We always try to be ready for every situation, so we don’t have to waste your time. Soon our technician will be at your house. He will immediately get to work and will take your washer or dryer apart. Our tech will test and diagnostics. He will use appliance manuals and his knowledge to determine what is going on with your broken appliance. As soon as he knows the problem, he will be able to determine a simple but effective solution. Sometimes all it takes is a few adjustments or cleaning of the mechanism of washer or dryer. But often parts will need to be replaced. If we do not have those parts in our possession, we might have them at our local Honolulu warehouse. But once in a while, the part is so unique that it will need to be ordered from the mainland. Whatever it is, we will try to get the part delivered fast and start installing it. With proper installation, your appliance will be fully functional in no time. Also, it will be able to last you a long time without breaking. We are very diligent and detail oriented about installation and repair. Once everything is finished, you get a perfectly functional washer or dryer. You can be sure it will not break again for a long, long time. We are top experts on washer and dryer repair in Honolulu. Our team’s headquarters are located in the heart of Honolulu between downtown and Kaka’ako. Our trucks are fully stuffed with all the latest equipment and technology and ready to go to an appointment. Honolulu Appliance Repair Pro has flexible scheduling and same day appointment available. We will work around your schedule to make it more convenient for you. That includes afternoons and weekend. Our company also offers you FREE service call with any repair and FREE, accurate estimate. We guarantee you the most reasonable and affordable price for appliance repair as well as excellent labor and 3 year warranty. 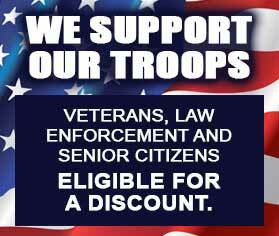 Also, you can check out our discount coupons right here. 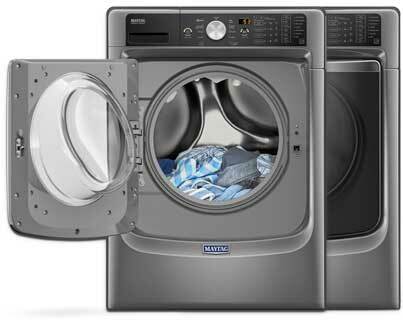 We are most experienced when it comes to washer and dryer repair Honolulu. We have the highly skilled and trained technicians who are up for any challenge. It does not matter what brand and what model you have. We will be able to fix any of them. Our company works hard to make your appliance repair appointment as easy and as convenient as possible for you. From scheduling convenient appointments to providing you with an accurate estimate of the work to working diligently to fix any problem we try to keep our customers happy. And most importantly we deliver high-quality work at a very reasonable price. For washer and dryer repair appointment, please call us at 808-518-2966 or fill out our short contact form. We will be happy to schedule your service appointment with one of our experienced appliance repair technician. Services available on the whole island of Oahu. That includes Aina Haina, Aiea, Ala Moana, Aliamanu, Capitol District, Downtown Honolulu, Foster Village, Fort Shafter, Hawaii Kai, Kahala, Kaimuki, Kakaako, Kalihi-Palama, Kalihi, Kuliouou-Kalani Iki, Leahi Park, Liliha-Kapalama, Makiki, Manoa, Mccully Moilili, Moanalua, Niu Valley, Nuuanu, Oahu, Palolo, Pauoa, Red Hill, Salt Lake, The Arts District, Waialae, Waialae – Kahala, Waikiki and the rest. Our company is the best Oahu appliance repair service provider guaranteed.